For more details of our exercise classes, please see our Weekly Programme page. Click on each item below for further details. Special Event for Earth Day 2019, featuring films and meditation. Full weekend of events, featuring Lama Yeshe Rinpoche, Abbot of Samye Ling Monastery and the spiritual director for Samye Dzong Centres worldwide. In part 3 of this 4 part course Ani Rinchen Khandro will present the important and often misunderstood topic of Karma. Every month KSDE offers additional weekend opportunities to attend pujas, meditations, practice sessions and/or volunteer service. Bookings and details at www.samyeling.org. 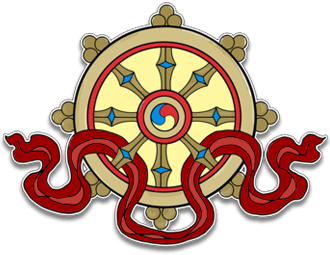 Using the Dorje Chang Lineage Prayer and the commentary by His Holiness the 17th Karmapa, we explore the Path and Blessings of the Lineage. In this final part of the course we will go beyond the superficial, worldly way of seeing to examine how things really are. Please note: KSD Edinburgh is closed through August for the Summer Break and re-opens on Monday September 2nd 2019.